AB Kitchens and Bathrooms - Bathrooms, Bedrooms, Kitchens based in Portsmouth, Hampshire. Welcome to AB Kitchens and Bathrooms. 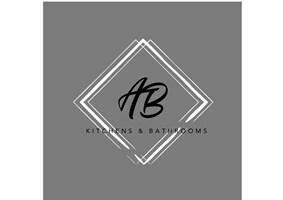 AB Kitchens and Bathrooms are a Kitchen and Bathroom installation company based in the south of the UK. We pride ourselves on offering a professional Kitchen and Bathroom design and installation service to both private sector and trade clients. Here at AB Kitchen and Bathrooms, we strive to provide the very best service, delivered in a friendly manner. Established in 2009 and with over 19 years of experience in both kitchen and bathroom fitting. If you would like a free quotation or any advice, please contact us either using the link below or email us on our contact page. If you would like to see some of our work - visit our gallery for all jobs carried out by AB Kitchen and Bathrooms.